1. Place both tortillas flat on top of each other. Spread sauce on top of tortilla to within 1 inch of edge. Spread with jack cheese or mozzarella cheese. 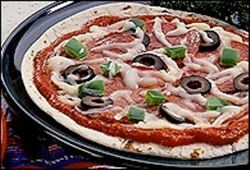 Top with pepperoni slices, green pepper and black olives. Sprinkle with basil and parmesan cheese. Microwave on high for 45-60 seconds, until cheese melts or heat in conventional oven at 350 degrees F for 5-7 minutes. 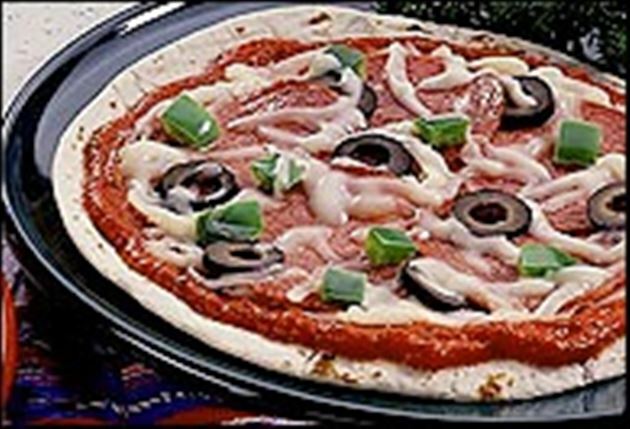 Enjoy this delicious tortilla pizza Mexican recipe!